This five-bedroom, 3 1/2-bathroom, 3,843-square-foot property located at 588 Eagle Crest Drive in the Lake Creek area of Edwards is listed by Berkshire Hathaway HomeServices Colorado Properties for $1.55 million. One of the questions most asked of a real estate broker is, “how’s the market?” It’s a fair question and a great way to engage with clients, friends and people who find out we are in the real estate business. While it may seem insincere to answer a question with a question, our first response is, “what part of the market are you interested in?” We ask this, as the Vail Valley’s market diversity offers such a range of options that it’s important to determine what “the market” means to any interested party, buyer or seller. Although the Vail Valley is small in scale, its diverse property and community options — ranging from studios to nine-bedroom estates and prices from the $300,000s to $35 million — make answering questions about the market complex. In just a few miles’ radius, there is a range of “markets,” both in terms of pricing and geography, and each has its own rhythm, activity levels and nuances. Each one, ranging from Vail to Beaver Creek, Avon to Edwards and Eagle to Gypsum, warrants a closer look by all stakeholders, based on lifestyle and budget interests. Factors that influence the Vail Valley’s markets and pricing include land, construction costs, labor, equity markets, interest rates, seasonal shifts and school calendars. At Berkshire Hathaway HomeServices, we regularly track all market neighborhoods, price ranges and activity, which allows us to identify trends and guide our clients to make sound decisions. So, the next time the question arises, “how is the market?” specify your area of interest or price range. The answer may be far different than how the overall market is performing, and this can make all the difference in how you approach your particular situation whether you are a seller or buyer. “Buyers looking to purchase a home, second home or condo in the Vail Valley really have the breadth of options in terms of design and price point,” said Mark Weinreich, broker associate for Berkshire Hathaway Home Services Colorado Properties. Larry Agenberg, also a broker associate for Berkshire Hathaway HomeServices Colorado Properties, supports Weinreich’s statements about having all levels of properties and price points available. 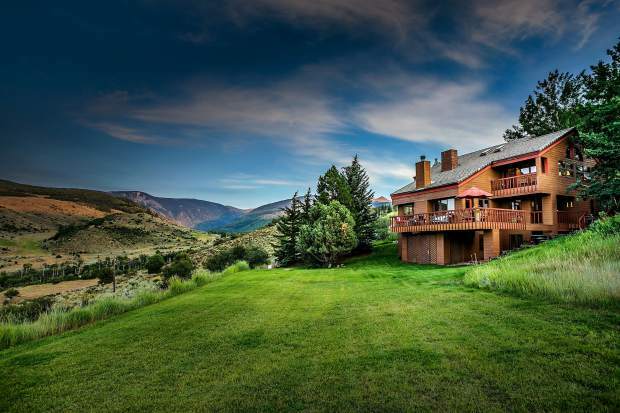 For sellers, this can translate into a bigger pool of buyers who may look at Vail because of the range of options, even within a 15-mile radius. “Our current market is really the ideal in terms of attracting potential buyers,” Agenberg said. “That being said, sellers need to be cognizant these buyers have typically done their homework and understand fair market pricing. These buyers want to believe they are getting value and, if they do, will typically enter into a reasonable deal. Michael Slevin is the president of Berkshire Hathaway HomeServices Colorado Properties. Learn more at http://www.bhhscoloradoproperties.com.